Supporters, press and campaign staff gathered together last night at 8:30 p.m. but wouldn’t begin to pack their belongings until 1:53 a.m. the next morning. With early votes trickling in, Stacey Abrams and Brian Kemp were nearly competing at the same rate. As the first votes were being reported, Kemp quickly took a 65.8 percent lead, over Abrams’ 33.7 percent. Some Abrams supporters visibly panicked before realizing that only 1 percent of counties had been reported at that time. Abrams did catch up as the night went on, but when the percent of reporting counties reached 80 percent, the race closed tighter and looked less favorable for Abrams. The room grew louder, with those in discussion as a fearful tension veiled the room. The watch party truly became a party at this moment. With high hopes, R&B throwbacks and a few cocktails, the celebration had begun. Although, this celebration may have been preemptive. As the night came to a close, Kemp was still above the runoff threshold, though not by much. 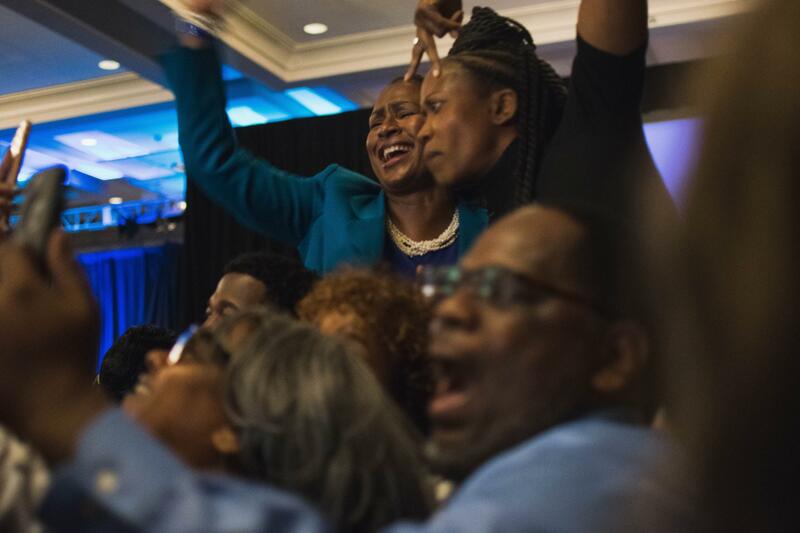 As The Signal reported live from Abrams’ campaign watch party at the Hyatt Regency the night of the election on Nov. 6, Kemp balanced between victory and proceeding to a runoff. After several people had taken the stage, Abrams didn’t show face until it was time to call the night off. She addressed the crowd, providing encouragement, motivation and the truth behind how close this race had become. “Because this is not about me. It’s about us,” Abrams said. Despite Abrams’ determination and faith in runoff results, there would be no resolution that night. The following morning on a press call, Abrams’ campaign manager Lauren Groh-Wargo delivered an update on the campaign’s plan moving forward. “We are committed and remain committed to ensure every vote is counted,” Groh-Wargo said. She identified that at the time Kemp was 15,539 votes above the runoff threshold, and according to a secretary of state-affiliated website, Kemp sat at 50.39 percent of the vote. Groh-Wargo said that absentee ballots alone would account for balancing that result. Later that day, Abrams refused to concede the election, announcing in a press release that she is introducing an “Aggressive Provisional Ballot Chase Program.” With this Abrams’ campaign says they will continue until every vote and ballot is counted. “We know our opponent Brian Kemp has declared himself the victor, and we do not accept that,” Groh-Wargo said. The campaign demanded Kemp release all voting data, both to them and the public. Groh-Wargo said there is no reason for them to take Kemp at his word without proof and that it’s long past time for Kemp to resign from his position as secretary of state. “We don’t accept or reject what he says, we just want to see proof because this is public data,” she said. The next announcement came from chair Allegra Hardy: the formation of a litigation team in defense of the campaigns motives. “[The team will] ensure all votes are counted and constitutional rights upheld,” Hardy said. Hours before doors opened to the public, Abrams supporters lined up to support her as the results came in. In this line were Julie and Renee Abrams, both cousins to the candidate. When asked about the emotions behind Abrams making it this far, they both responded in unison. “We are very proud,” Julie and Renee Abrams said. They said they were optimistic about the results being in Abrams’ favor tonight. “There’s not a question about it, no doubts, 100 percent,” Renee Abrams said. The two said they hope she gets some rest after the victory, but they know she will be up and working again in no time. Marcy Dixon and Jessie Henagen shared the same optimistic sentiment that Abrams’ cousins had for the candidate. Alisha Etheredge stood in line with her young daughter, anticipating a victory. Etheredge asked her daughter, as she danced and spun around, who the next governor of Georgia would be. Zoe Etheredge proudly responded to her mother. During the event, leading up to the announcement of the results, several political leaders took the stage in supporting Abrams. Mayor Keisha Lance Bottoms appeared unannounced at the event, which surprised the crowd. She spoke on the changing nature of Atlanta and Georgia politics. 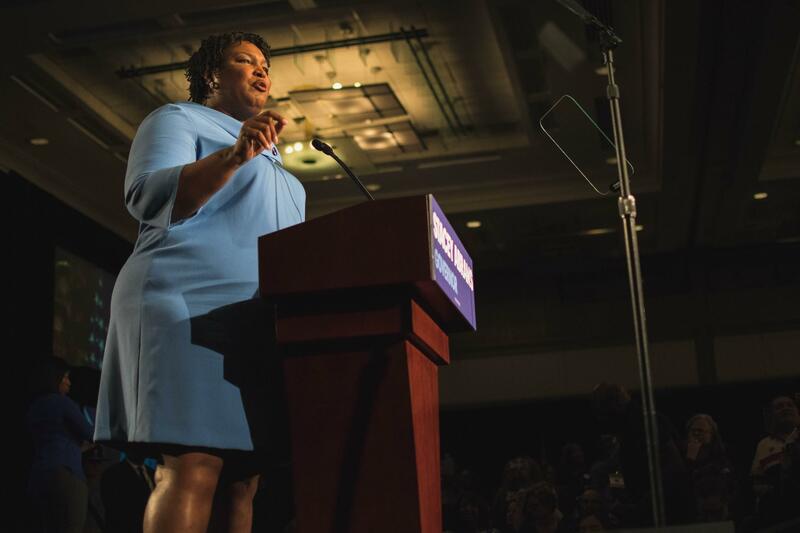 Bottoms saw the future as a chance to let Georgia shine on the political stage. Another crowd favorite took the stage and the room erupted into a roar. 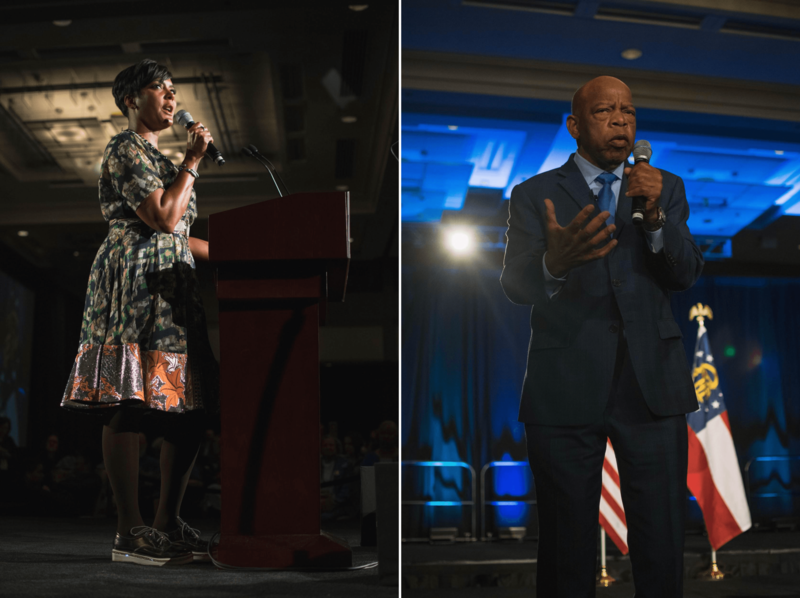 Rep. John Lewis, from Georgia’s 5th Congressional District, and an Atlanta civil rights leader, united the room under their faith in Abrams’ leadership.